Home / Beauty / Weight Loss Tips / DIY Body Wrap Recipe - Tone, tighten, and firm in 45 minutes. Works amazing for cellulite control and spot treatments. 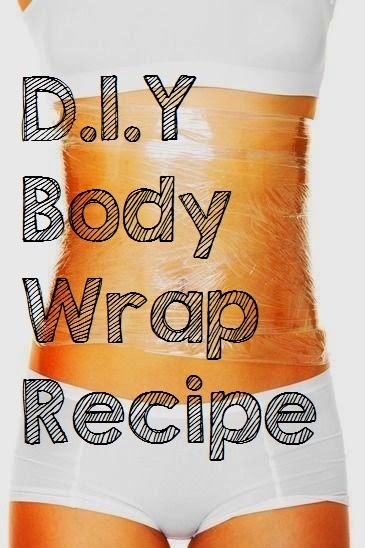 Here is a very simple DIY recipe to make your own body wraps at home! Start by massaging the Vitamin E oil onto your stomach. Then get some saran wrap, wrap your belly tightly. After you remove your wrap you will be gross; so grab your sea salt or coffee grounds and hop in the shower/bath. Rinse off your stomach and scrub away the dead skin to buffer your abs. Once you’re out of the shower or bath, dry off and put on a moisturizer of your choice and voila! Compare the results!